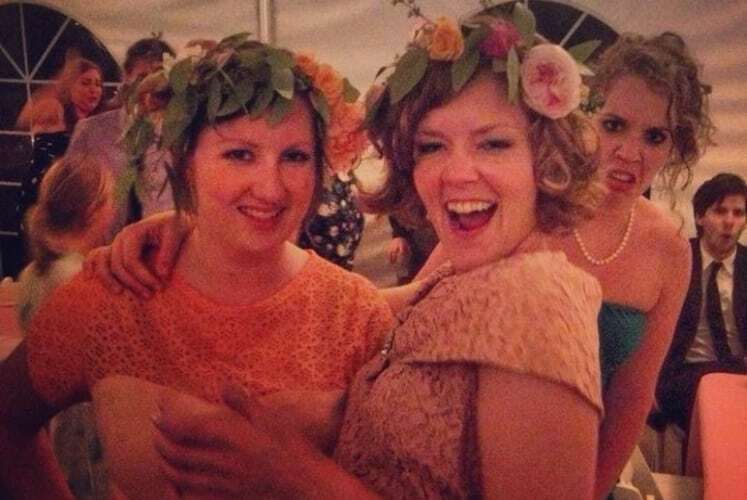 Look how viciously the woman on the back photobombs the two ladies taking a selfie. What is funny is that the girls look drunk and ready to head home. 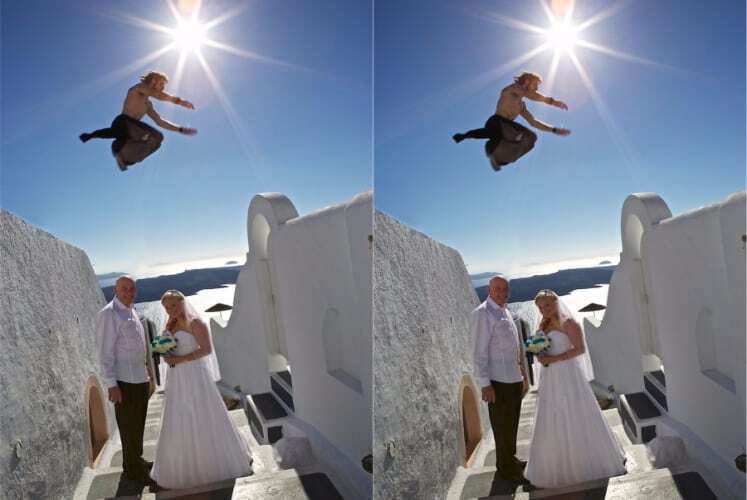 Parkour and wedding don’t always happen at the same time. But this photograph shows an amazing stunt by a man. 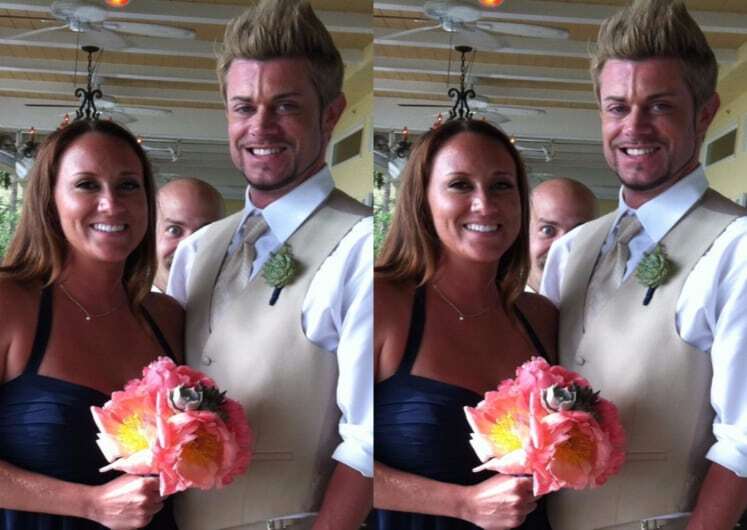 This picture is now considered as one of the best photobomb ever. Here is another picture of a peek-a-boo man. He also looks uncanny especially that there is only one eye that can be seen. 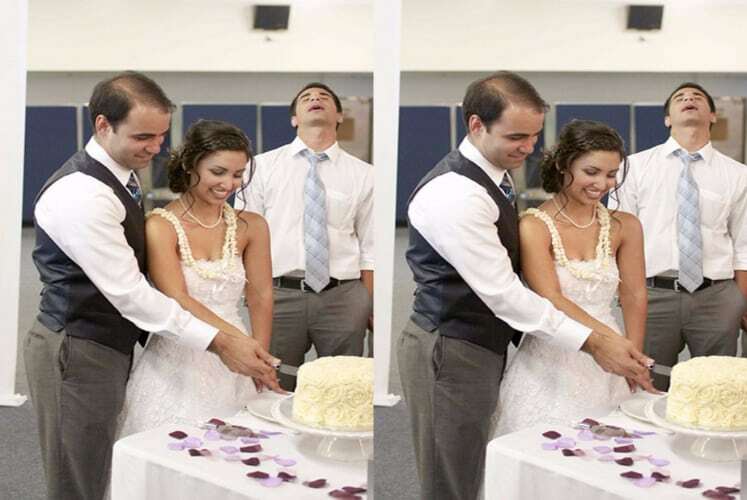 One of the most awaited parts of a wedding is the cutting of the cake by the new husband and wife. In this picture, we see another guy in the background who seems to run out of patience from waiting too long. If the lady riding the bicycle didn’t photo bombed this picture, we would all think it is a thing of the past because of the way the couple dress. Now, we are all enlightened.